Doors of Golden Light was commissioned for a private residence in Virginia. Featuring hand-blown golden glass, this work was inspired by the Italian Renaissance. 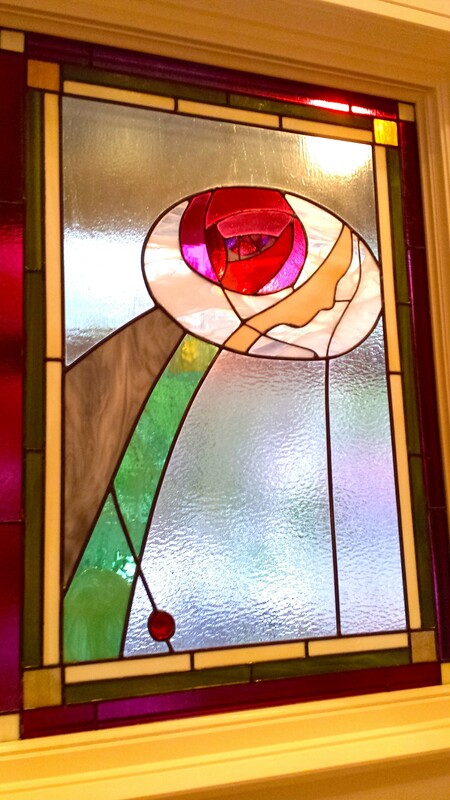 The panels were created individually and installed on-site. These leaded beveled front entryway sidelights and transoms won the NARI DC 2012 Merit Award for Creative Solutions under $15k. 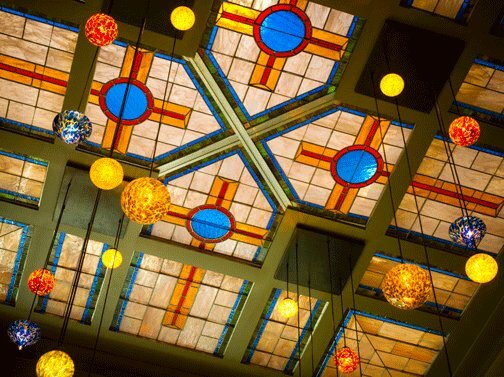 The Sistine Ceiling was commissioned by Morris-Day Architects for the cathedral ceiling of a home. 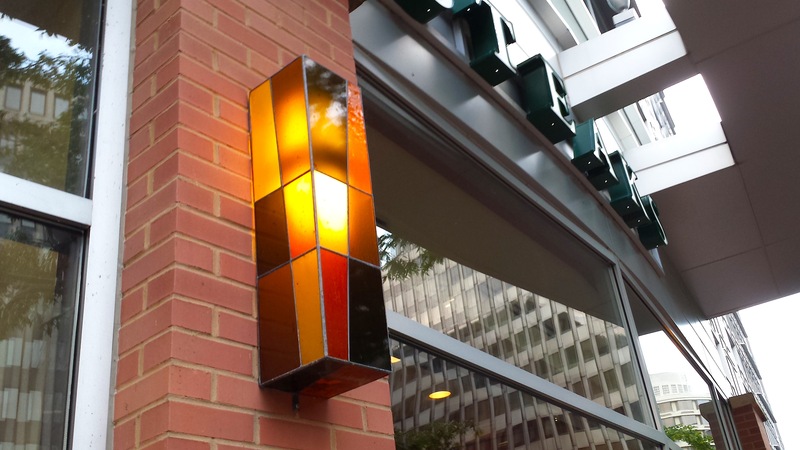 Made of leaded stained glass and reinforced with steel rebar. 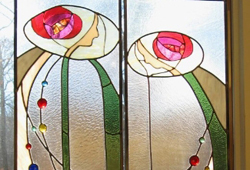 “The Rose Women” are custom panels that stretch over 6 feet high and were designed by Pamela Bogdonoff and Rob Morris of Morris-Day Architects. 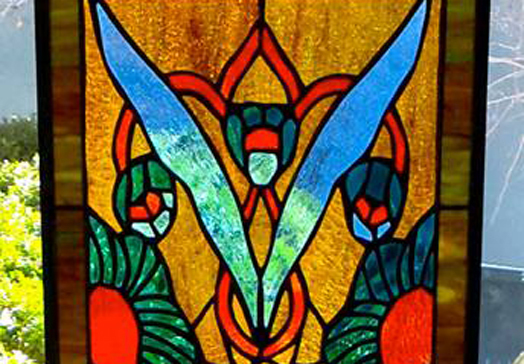 The great Scottish artists, Charles Rennie MacIntosh and his wife Margaret MacDonald, inspired the design. 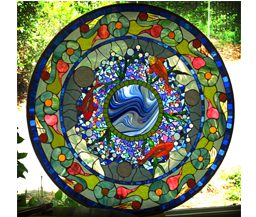 McLean Stained Glass Studios is Virginia's premier stained glass design service. We provide exquisite custom pieces perfect for every room in your home. Every piece is created by hand, and may be installed on-site by our courteous and professional carpenters. 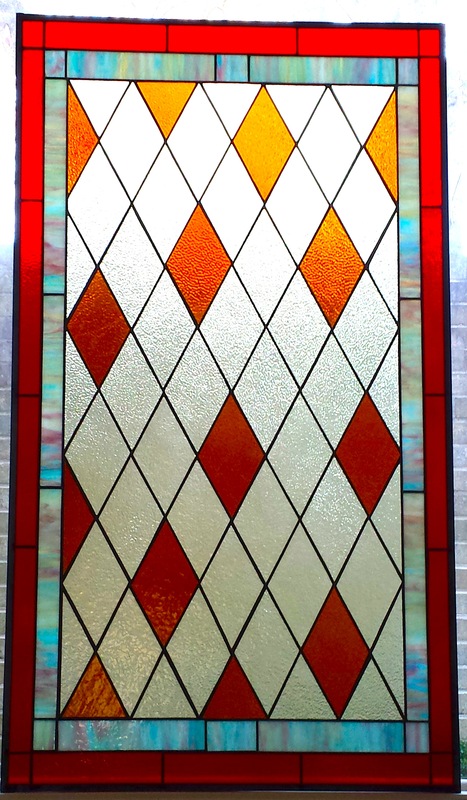 Custom stained glass greatly enhances the atmosphere of any home or business, adding richness, style and beauty that complement any decor. Please browse some of our existing designs and contact us for a complimentary consultation. 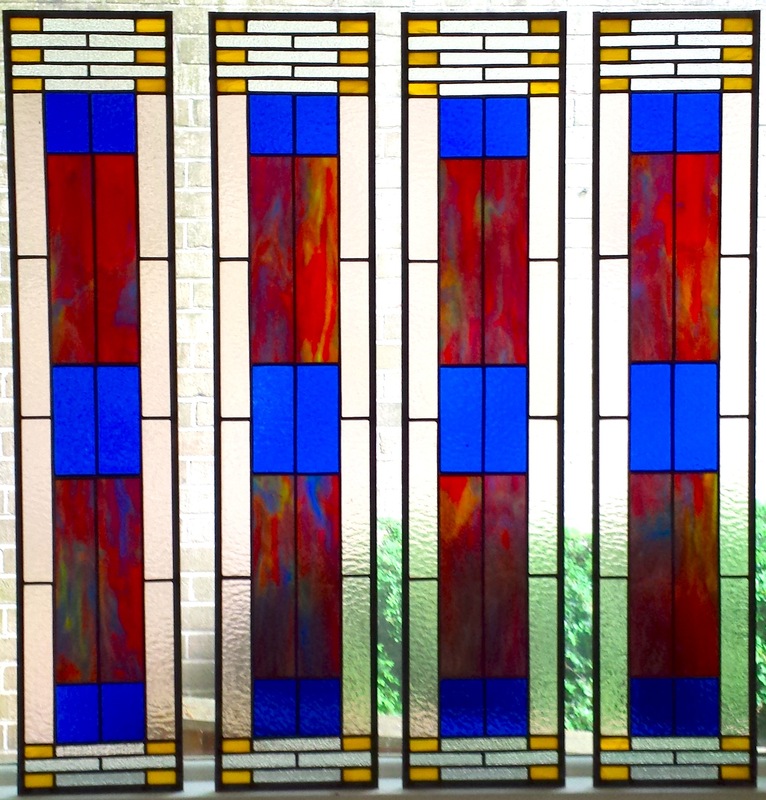 We work with homeowners, architects and builders to design and create distinctive glass applications that compliment the home. We frequently work with architects during the design phase, but can just as easily work with homeowners directly or with interior decorators and designers. We work with our customers to create unique custom pieces which add style and richness to their homes. 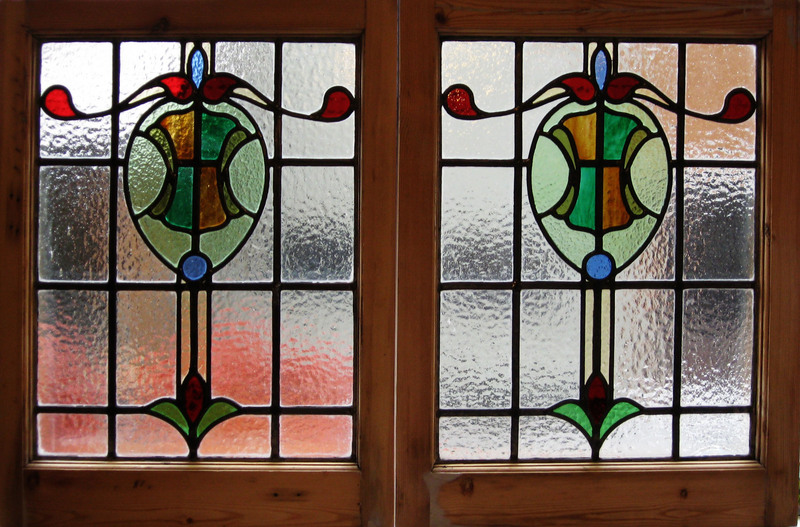 We also specialize in restorations of antique stained glass windows, doors and cabinet panels.